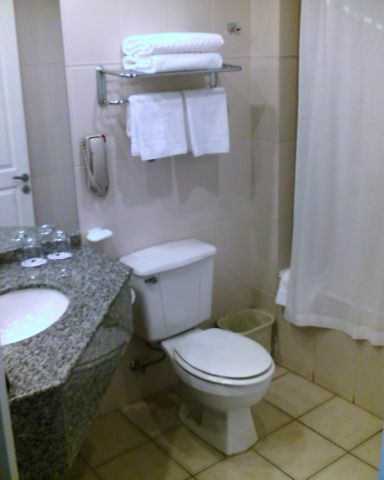 The hotel bathroom. It has hot water, a shower, and toilet paper! I've put up with less in some places, so I'm happy.